Purchase the 7 Powers of Creating book on iTunes or the Amazon Kindle Store today. 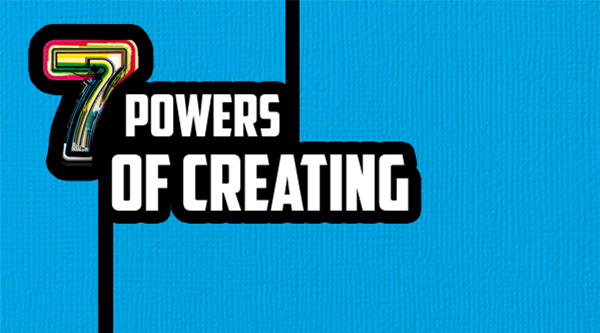 7 Powers of Creating shows the process of creating anything from art to innovation, business to personal. It takes you from your picture of what you want to create to the reality of it being alive and thriving. 7 Powers of Creating emerged from Cinequest’s Picture The Possibilities, a transformative movement that empowers youth and leaders to create a better world for all of us. • PICTURE—the inner vision of what you want to create. • POSITION—what makes what you create special and unique. • PLAN—organizing the action needed to bring the picture into reality. • PASSION—the fuel the drives the engine of creating. • PARTNERS—who you choose to create with can lift you upward. • PERSISTENCE—the commitment to stay with something until it’s real. • PEACE—finding inner confidence, calm, and well-being right now. All proceeds of 7 Powers of Creating book sales will be donated to Cinequest Picture the Possibilities.